We recommend a base 400-500mm (16-20”) wide by 100-400mm (4-16”) high. This can either be a single piece of stone or smaller pitchers or bricks concreted together. Please note that this is a guide only and depends on where you plan to place the Birdbath Bowl in the garden, the plants around the base and your personal preferences. 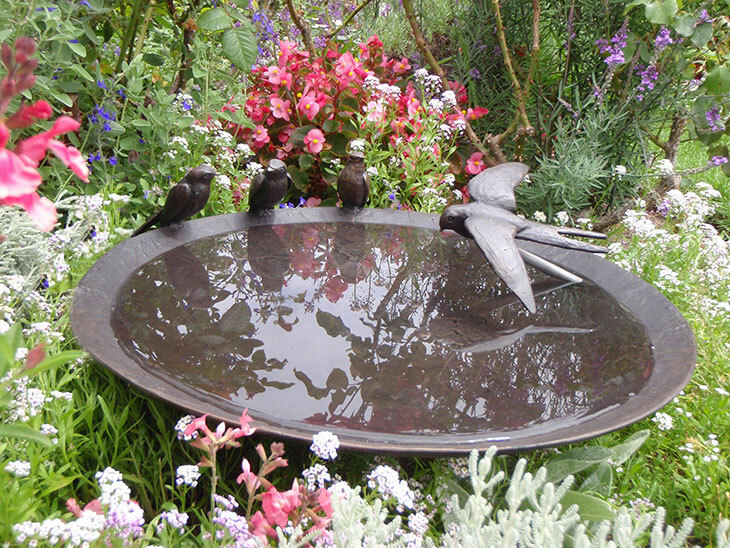 Please note that this size Birdbath Bowl is also available with any of the bird designs pictured on the 600mm/24” Birdbaths.